Orlando is synonymous with a certain large-eared mouse and the many amusement parks present in the area. For this reason, people around the country, and people from around the globe, plan vacations to the area in order to visit these attractions. Amusement parks invoke for many a dreamy vision consisting of games, rides and other enticements for children and those who are children at heart. Unfortunately, these dreams can turn into nightmares. According to a 2017 report published by the National Electronic Injury Surveillance System, a faction of the Consumer Product Safety Commission, there were over 43,000 estimated injuries that occurred as the result of amusement park injuries. Perhaps unsurprisingly in the context of amusement parks, most of these injuries occurred among children who were between the ages of 5 and 14. However, young children are not the only victims of the negligent behaviors of some amusement park operators. The Orlando Sentinel recently reported updates regarding the case of a 38-year-old man who died in 2016 at Universal Studios of heart-related complications that had a sudden onset after he visited the amusement park’s Skull Island attraction. The King Kong-based ride had numerous immersive effects that were intended to make the passenger feel as though he or she was in Kong’s native environment. At the time of the man’s untimely death, the attraction featured a safety advisory sign warning those with known heart conditions to avoid it at its entrance – but it was only posted in English. Tragically, the man, who had previously been diagnosed with a heart condition and was visiting from Guatemala with his wife and young son where he operated a large-scale business that sold to U.S. buyers, was a native Spanish speaker. According to the attorneys representing the man’s family, the experienced wrongful death attorneys of the Pendas Law Firm, the park was negligent in failing to post the sign in multiple languages, especially in light of the volumes of international visitors it attracts. 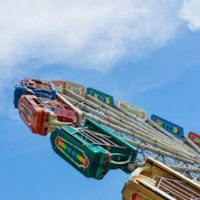 It is important to understand that in addition to endless fun, you or a loved one can, unfortunately, become injured, or even killed, in an amusement park accident, especially when its operators are negligent. What Should You Do if Your Loved One is Injured? First, obtain the medical care that your loved one needs after the amusement park incident that causes his or her injuries. Second, take pictures of the scene where the injury occurred as soon as possible. Be sure to take pictures of the area outside of the attraction including any signs that are present. Third, if your loved one tragically succumbs to the injuries, contact an experienced wrongful death attorney. Despite whatever claims those operating the amusement park may make, there is a good chance you can be compensated for the injuries incurred and hold the responsible parties accountable. Has Your Loved One Been Injured as the Result of the Negligence of an Amusement Park? If you believe that your loved one lost his or her life as a result of the negligence of an amusement park, reach out to us and we can help you just as we are helping the family of the man who tragically lost his life in the Universal Studios incident. The experienced Orlando wrongful death attorneys at the Pendas Law Firm are experienced at helping people like you recover. Contact us today to schedule a free initial consultation. The Pendas Law Firm also represents clients in the Fort Lauderdale, Miami, Tampa, Jacksonville, Daytona and Bradenton areas.